I keep obsessively reorganizing my pantry. It is a pretty big pantry and has a decent layout, so I have to blame my OCD. I am never really happy with whatever I end up doing. Hopefully, I changed that today with a $3 over-the-door shoe hanger (bought on clearance plus Kohl's cash). 1. I put school snacks in a low basket that the kids can reach. 2. I put like items with like items. 3. I used tiered shelving so that nothing is totally hidden. 4. Items that are rarely used, like paper plates, go in the back of the top shelf. 5. All baking items are in one basket so I can bring the whole basket into the kitchen to cook. 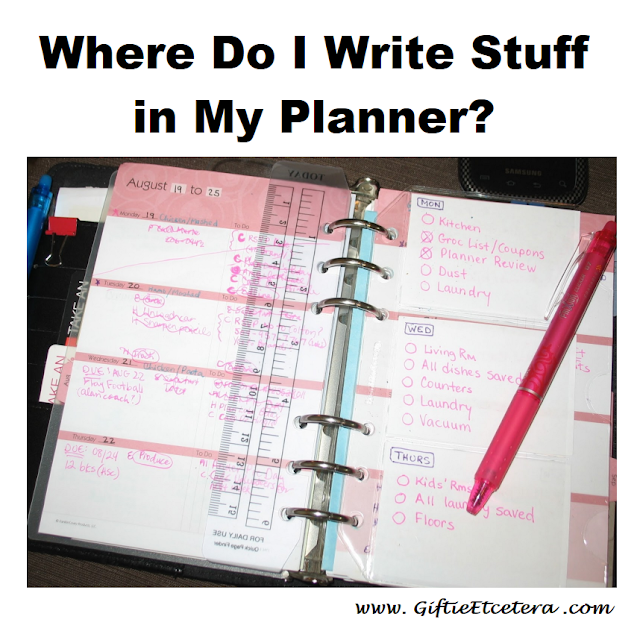 Despite my detailed posts about my planner use, I actually try to keep things really simple. I don't have a bunch of custom forms. If I need a special form (say, for my budgeting), I just draw it on paper and put it in my planner. 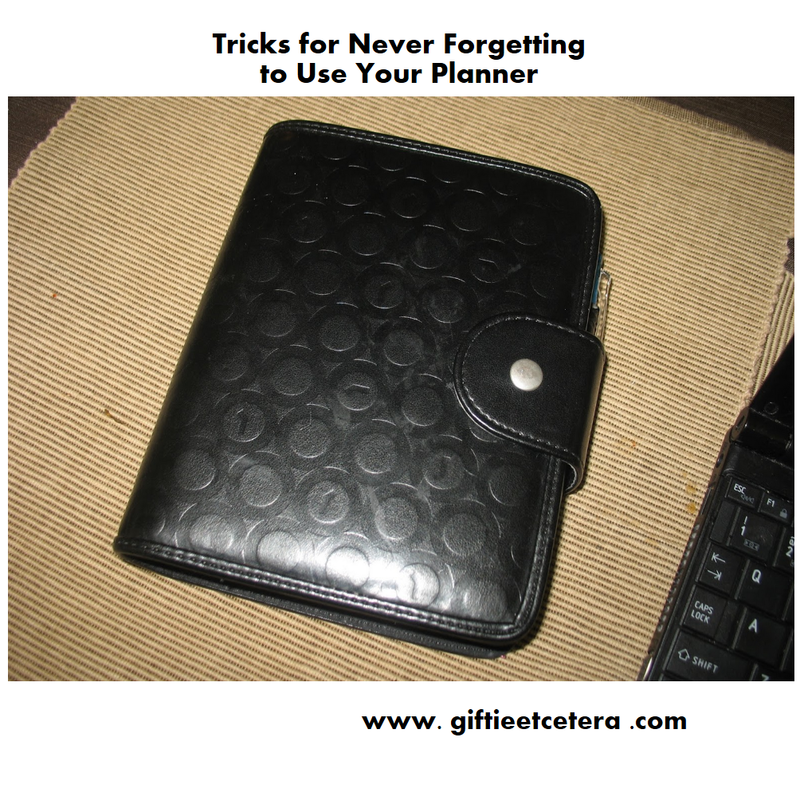 But I do have a trick that is simple, but keeps me very organized and on track. I call it Divide and Conquer. There are three ways I divide up items in my planner: Appointments Versus Tasks, Priority of Tasks, and Context (where I will perform the Tasks). I put all appointments on the monthly calendar. Morning carpool? In the calendar. Told someone I would call at 3 p.m.? Goes on the monthly calendar. Mass day at the kids' school? Goes on the calendar. Tasks, on the other hand, go in my weekly planner. I know many people like to see them together, but having my appointments separated out means that I actually know where I need to be and when I need to be there. I list my tasks in three columns. My planner is a horizontal weekly layout. I don't physically divide the three columns in any way. I simply write in three different columns. Under the date, I write tasks that are time specific or DUE. This area is truly reserved for time or date specific items, so it is usually pretty sparse. For example, today was the first day of school. I wrote a note to take a first day of school picture of my kids in the morning. If something is due, I generally write it on the Task page the day before it is due (including the due date in the entry) so that I have time to complete it. In the middle column, I write stuff that must be done today. It's stuff that can be done anytime, really, but needs to happen. For example, I might have a note to run to the grocery store or take out the trash. The last column is reserved for things that I want to accomplish today, but that can be easily rescheduled or recopied to another day. Examples include checking the kids' grades on-line or making a doctor's appointment for a yearly checkup. Finally, I sort all tasks by context. That way, if I am running errands, I can glance at the errands and do a bunch at once. If I am working at my computer at a coffee shop, I can go ahead and do all my computer tasks with just a glance. I simply write a one letter code in front of the tasks, indicating where the task will be done. If something is for my information only, it gets an FYI in front of it. Physically dividing up tasks from appointments, priorities, and contexts means that much of the decision-making of tasks is done for me. I don't experience that paralyzing "what do I do now" moment that most of us know so well.